This is a lovely rustic grey slate sign with a painted message, in a variety of different fonts. 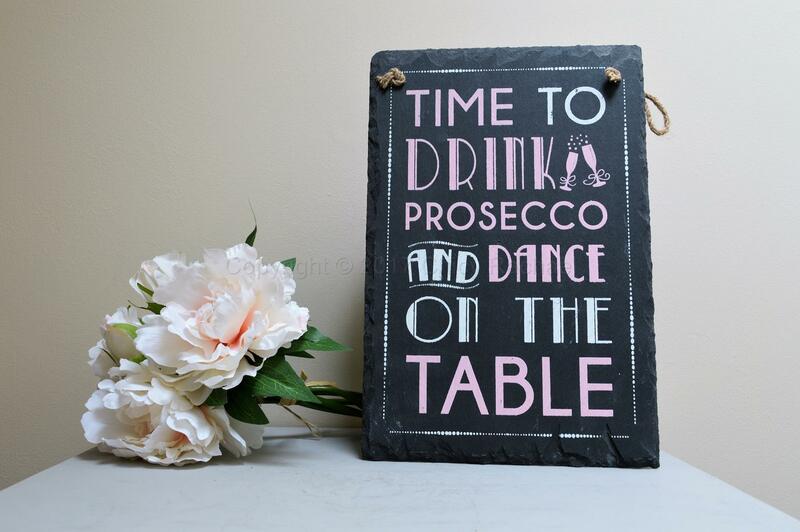 It reads “Time To Drink Prosecco And Dance On The Table.” It has a thick jute twine for hanging. This would make a lovely addition to any home. 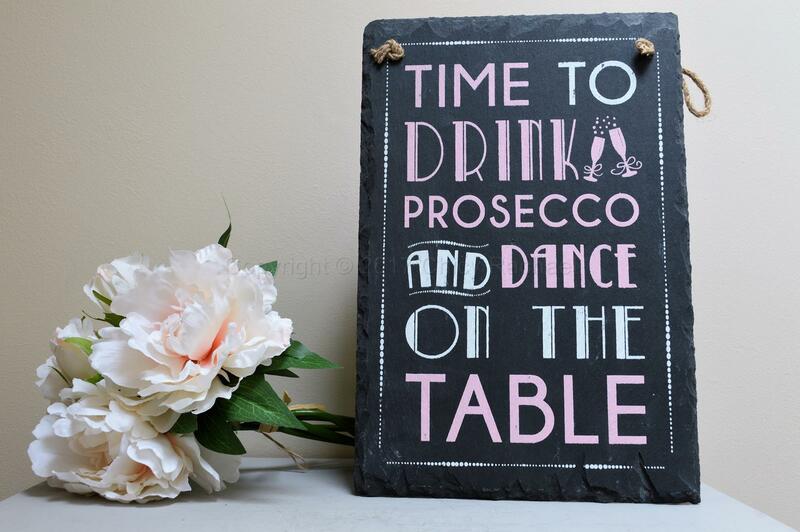 An ideal gift for anyone who love Prosecco. Please note that this sign is made from natural slate each one is slightly different.